If you love to shop, you&rsquo;ll love Ashe County and the North Carolina Real Estate that can be found on the High Country MLS. 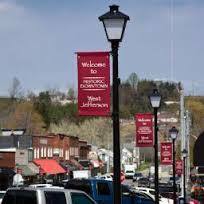 Many might not realize it, but Ashe County is full of fabulous shopping destinations. In keeping with its quaint character, Ashe County is home to unique boutiques, plenty of galleries that showcase the arts and crafts of talented local artists, small bookstores, and a variety of shops that stock everything you could possibly need. In fact, you&rsquo;d be hard pressed to think of something that you cannot find in Ashe County. When you purchase Ashe County Real Estate, you&rsquo;ll be pleased to know that you won&rsquo;t have to travel long distances to find what you&rsquo;re looking for because everything will be within a short drive. You&rsquo;ll also be within close proximity of some larger towns in the High Country area, like Boone and Blowing Rock, where you&rsquo;ll find a fabulous mall and a renowned outlet mall. Thank you for taking time to read our blog.